Affiliate marketing is tough, I can't do it! – I have heard this statement a lot in my years as an affiliate marketer. People rush into affiliate marketing without direction and no plan. They try to push an offer because one guru says that one is the best, after wasting time and money posting the offers, they still end up with no sales and more frustrated… Darn it! You know why you are falling? It is because you have not chosen a niche yet! You need to be specific about the niche you want to work with. Don't rush into any offer people say is profitable. You need to understand what you can do and pick a niche that you are sure will work for you. 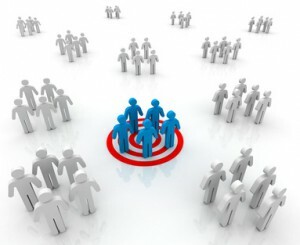 A niche is a segment of a market you are targeting. For instance, weight loss, dating, football, insurance and so on. You can as well think of affiliate marketing niche as a group of people with a similar interest or problem. If you think of it this way, it now means you will need to promote an offer that will solve their problem or satisfy their interest. 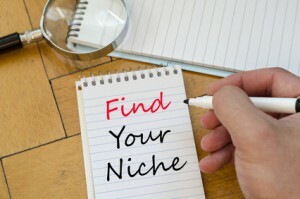 When it comes to choosing a niche, you should choose a narrow niche or sub-niche instead of choosing a broad niche. For instance, instead of choosing “fitness and diet” niche where competition is very high, you may opt for “paleo diet” which is narrower and still has the potential for profit. You will need to strike a healthy balance between choosing a niche you can compete in and the one with enough market size to be able you make money. I'm sure you suspected that I might say this but it is the truth. You are more likely to succeed in affiliate marketing if you promote offers that are related to your passion. Personally, I have always wanted to own a business even when I was still in high-school, so this made choosing the make-money niche easy for me. If you have a passion for photography, you will see offers that are related to this. Why I recommend following your passion is that it will be easy for you to talk about, you can create content easily and answer any question related to your offer. Talking about what you know and what you have a passion for will make your journey into affiliate marketing an easy and profitable one. This is a good way to become an authority in your niche. Ok, I know I said follow your passion, but be sure it is something that you can sell. If your passion is to catch rare breed of earthworms, there is absolutely no way to make money from that. So make a list of things you have a passion for and use a Google search to know how profitable the niche will be for you. There are forums such as quora.com and yahooanswers.com where you can go and find out what people are asking for. The more questions you find, the more profitable the niche will be for you. Like I suggested above, do a search engine research on your chosen niche, if you see a lot of pictures of products and results from sites such as Amazon, eBay, and other marketplaces, then there is money to be made from that niche. Ensure that there is an opportunity to make money from any niche you want to enter. Choosing a niche that is very popular will only force you to face a lot of competitions. Choose something that is less competitive but still profitable. There is a group of affiliate marketers I call “trend-marketers”. This group is the ones that choose something “hot” at the moment. However, this is not for newbies, you need to understand the nitty-gritty of affiliate marketing before you can start this type of marketing. Hot trends include things happening at the moment. For instance: last few months witnessed US elections, there was a lot of search engine research about the topic and most top marketers made a lot of money by talking and promoting offers related to US elections. You need to have a plan before you enter into affiliate marketing. Remember this is a business and not just for fun. If you want to succeed, you need to think and act like a businessman. Choose a niche you want using any of the 3 strategies suggested above, build your website around the niche. You will need a lot of patience when starting, over-time, your efforts will begin to yield results. I recommend that you try to make yourself an authority in whatever niche you choose. Please leave a comment below or you can get in touch with me inside of Wealthy Affiliate via my profile there.